I fell off the thankfulness train a little bit. And I’m going to climb back on. The pediatrician told me I have to give up eating dairy, because Caitlin is most likely allergic to it. 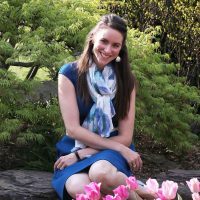 I suddenly realize that I have not been as empathetic as I could have been toward friends and family who have dietary restrictions. Because even though I know a million ways to substitute and avoid dairy, it’s really sad to eat in a world where butter is off limits. So here comes some thankfulness! I am thankful for all the wonderful people who have gone before me in feeling hungry and cranky after giving up something that they loved for the sake of their health or the health of a loved one. I am thankful for all the vegans in the world (seriously, thank you) for being delicious without dairy. I am thankful for all the friends who called me, texted me, and gave me hugs as I cried silly tears when I realized I couldn’t eat any of my favorite breakfast foods for the next several months. I am thankful for special friends who sent me recipe ideas after I whined about being hungry. To round off this thankfulness, and in preparation for eating a *gulp* dairy-free Thanksgiving meal, I made some brussels sprouts. 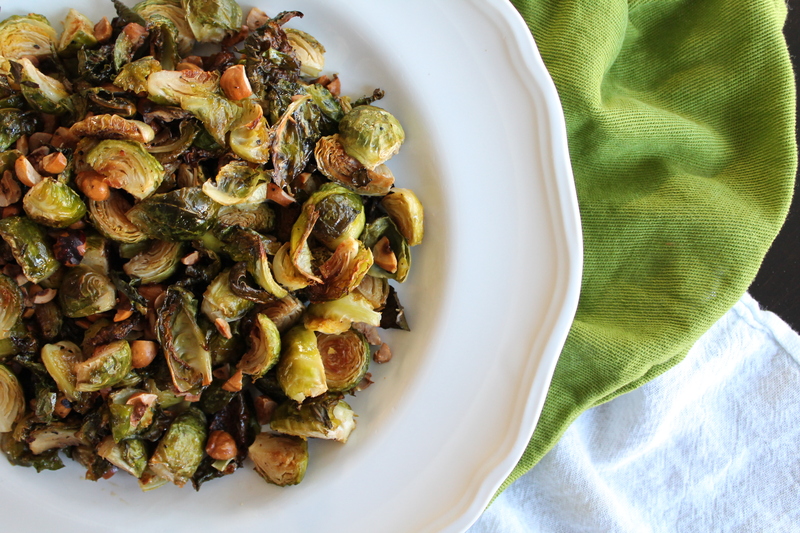 Because I just can’t get enough of brussels sprouts in the Fall. If you think you hate brussels sprouts, I urge you to think again. 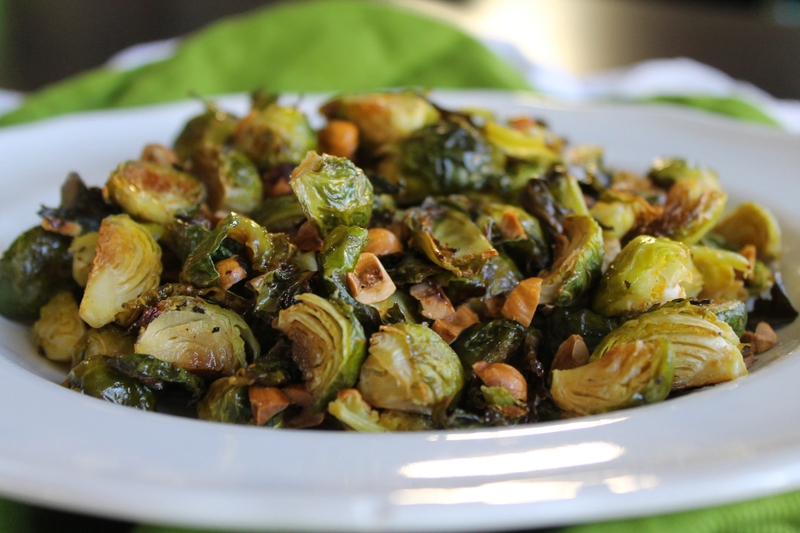 These are sweet and savory at the same time, with the dark, bitter roastiness of the sprouts and a handful of chopped toasted hazelnuts with caramelized maple syrup. 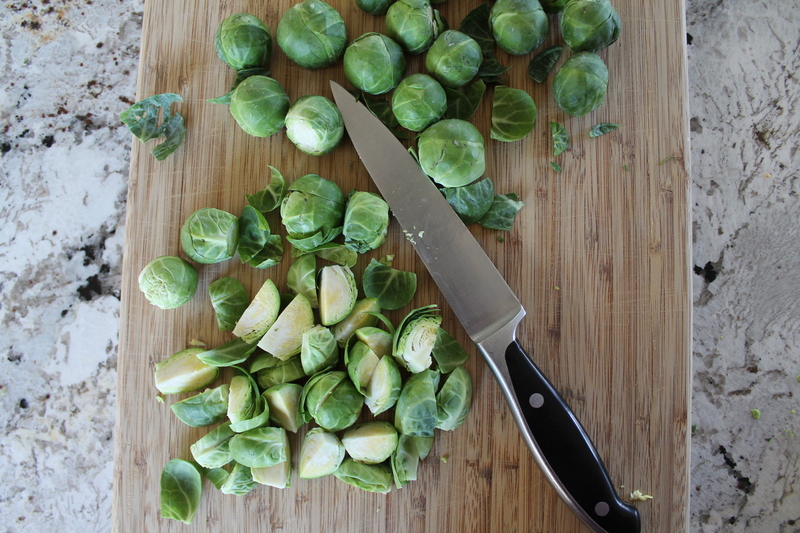 These brussels really are a breeze to make. Like roasting any veggie! But first, if you are not the kind of person who comes home with a bulk bag of raw nuts and immediately roasts them (you guys. because roasted nuts are way more flavorful! ), then you should roast your hazelnuts in the oven. This is very easy, just put them on a rimmed cookie sheet and stick them in the oven at 350°. Make sure you shake the pan every 4–5 minutes. It will take 15–20 minutes for the hazelnuts to turn deeply golden and to smell like heaven. Trim the stem ends off the sprouts, discarding any icky or yellow leaves, then cut them into quarters through the center (or halves, for particularly small sprouts). You could go with halves throughout, but then you will likely require an extra 15 minutes of roasting…and oven time is precious at Thanksgiving, isn’t it? Do a few seconds of extra prep in order to maintain your carefully crafted oven schedule and serve dinner on time! Toss with olive oil, salt, and black pepper on a large cookie sheet, then distribute in a single layer. I highly recommend lining the cookie sheet with a Silpat or some foil, because the maple syrup we add later can get sticky. Roast those bad boys for 15 minutes at 375°, until the edges are brown and toasty. Meanwhile, chop the hazelnuts as finely or thickly as you like. I went sort of chunky for texture, but a finer chop would also be nice, because they could cling to the syrupy sprouts better. Add the maple syrup to the sprouts and toss to combine. Roast for another 15 minutes. 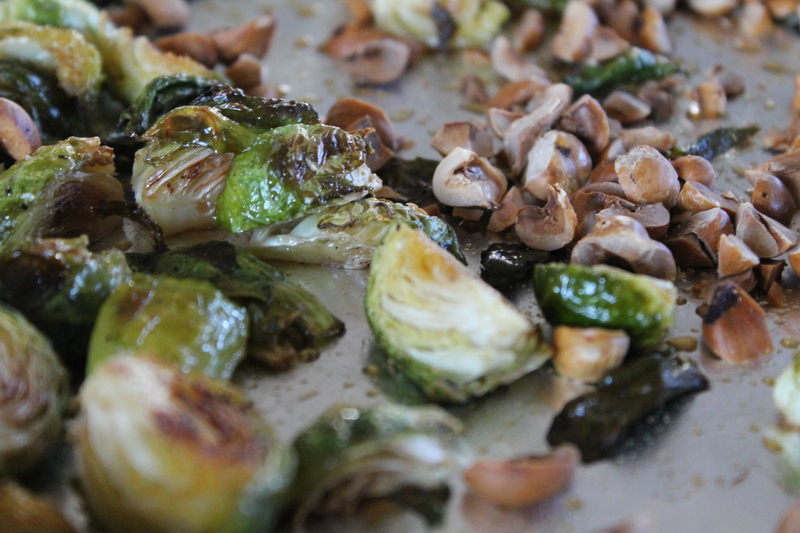 Remove the sprouts from the oven and add the hazelnuts into the mix. Eat them right away, while the outer and loose leaves are still crunchy and the dish is still warm! Preheat oven to 375°. Line a cookie sheet with a Silpat or foil. 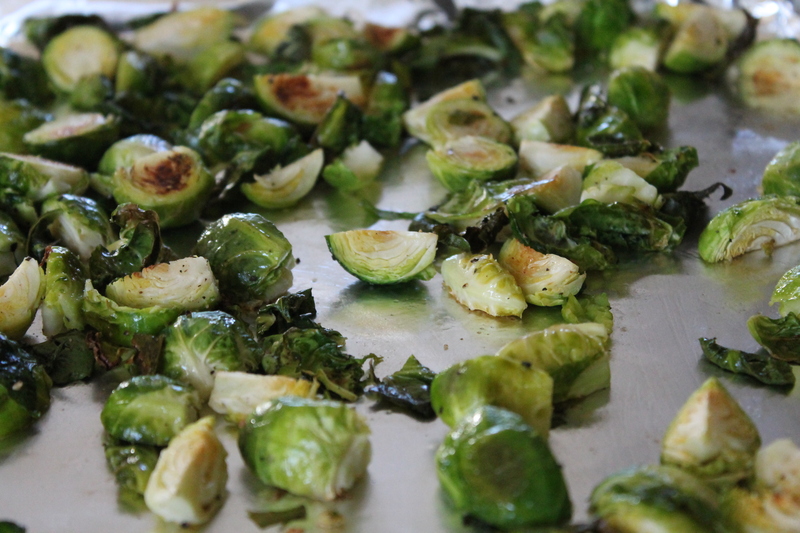 Toss the quartered brussels sprouts with olive oil, salt, and pepper. Spread in a single layer on the cookie sheet. Stir the maple syrup into the sprouts. Spread back into a single layer, then roast another 15 minutes. Toss the hot, crispy sprouts with chopped hazelnuts.